Quantum GIS is a free and open source GIS application. This tutorial is going to show you how to open MapInfo Tab file on QGIS. By default, QGIS supports MapInfo file. I am using Quantum GIS Pisa version 2.10 on this tutorial. You may grab the most recent version of Quantum GIS from here. 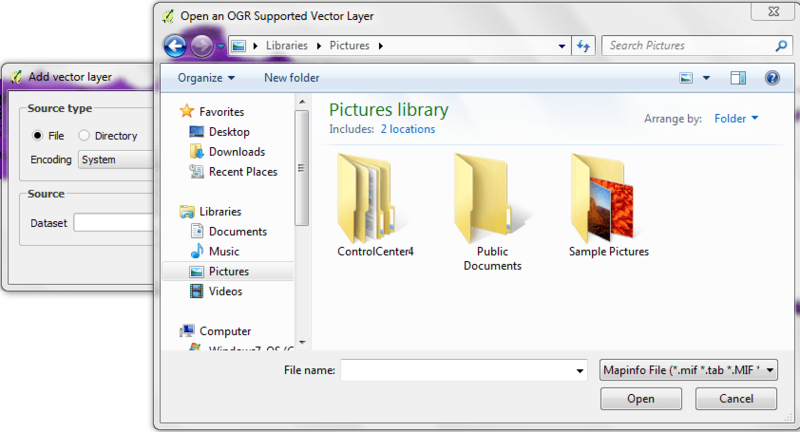 To open Mapinfo file on Quantum GIS, first go to Layer | Add Vector layer. Select File on the source type. Press Open and the file should be opened. Thanks for reading this Quantum GIS tutorial. See you on the next tutorial. Hello, I have downloaded some data regarding my work and it came in .tab format and in .lbl format. I tried to opened this raster data files in QGIS and also in ArcMap but not get succeded. Actually this is urgent for me as i am not getting how to retrieve the image file hence, i could not start my project work. please help me.